Lomography is a hugely popular online community of analogue photography fans, and this week the team behind the site launched its first instant camera. The Lomo’Instant Camera combines all of the things we love about 35mm Lomos, like attachable lenses, automatic and manual shooting settings, multiple exposures and wide-angle, portrait and fisheye options with the fun of having your photos printed out in an instant. 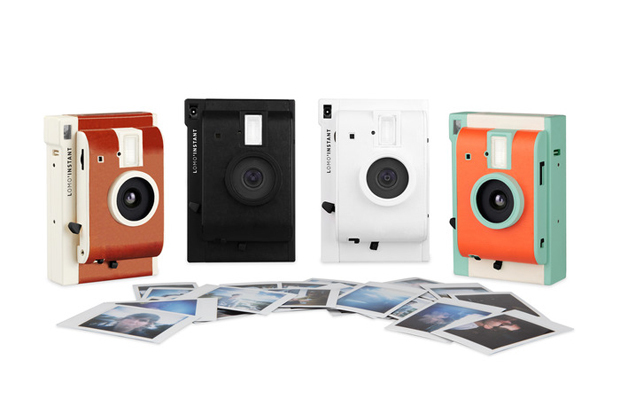 The camera itself comes in a wide range of colours and styles, uses Fujilfilm Instax Mini Film – the most widely available film on the planet – and, here’s the REALLY appealing bit to modern photography fans, it ships with a range of colour gels to bring the Instagram experience into the real world. The team is currently seeking funding on Kickstarter and has already smashed its $100,000 goal with another 30 days to go. If you get in early, for $79 you can get your hands on one of the cameras – they’ll be much pricier if they actually go on sale a few months down the line, so if you’re keen, it’s worth it! We understand what the Lomography team are trying to achieve, combining the charm of an analogue camera with the modern-day need to have things now, now, now with a dreamy filter plastered on top. However, we’re starting to wonder whether the idea that we need things in real life physical form to make them more meaningful is actually true and whether we’re just as content sharing our photos online as we are in our hands. Let us know what you think in the comments below.